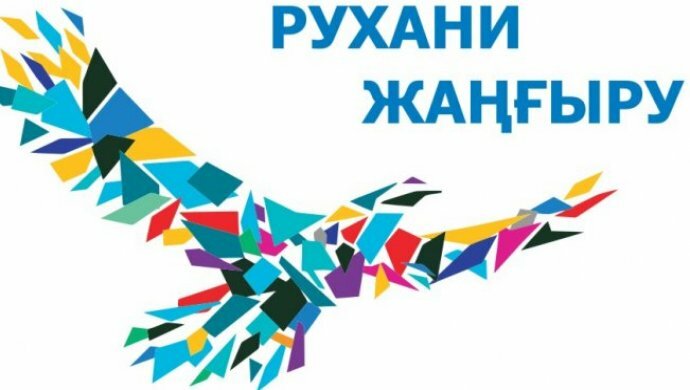 25-26 February 2013 Karaganda State Technical University conducts the Republican scientific-practical conference “Social and economic modernization of Kazakhstan: problems and solutions”, dedicated to the 60th anniversary of KSTU. From 6 to 17 September 2012 at the Institute of Economics of lecturing, conducting workshops rector of the Institute of Applied Sciences Zittau / Görlitz, Professor, Doctor of Economics Roland Giza. 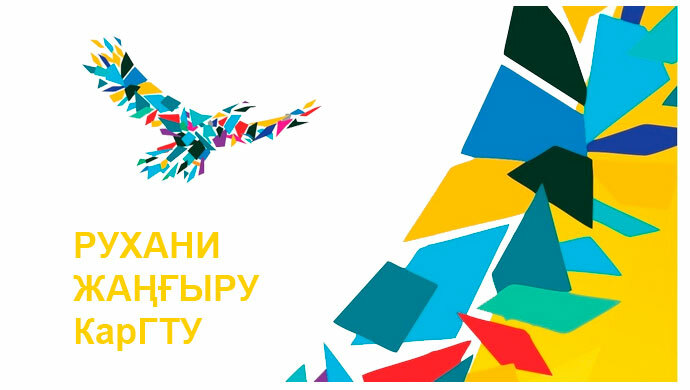 From June 6 to June 8, 2012 Associate Professor of “Business Economics” Ph.D. Hishaueva J.T., Ph.D. Shametova A.A., senior lecturer in “Management Company” Aubakirova M.A., Kuatova A.S. participated in a seminar in the name of EA KSU Buketov, which was organized by the head of the European Union project “Assistance in matters of trade policy and its implementation tools” Marius Bordalba. The seminar addressed the following questions: “The system and the legal aspects of the WTO”, “Tools of trade protection.” At the end of the seminar received certificates. 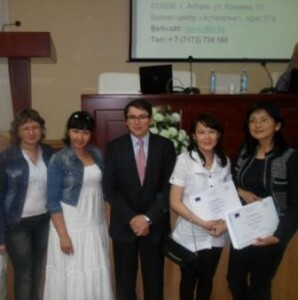 Ph.D. Hishaueva J.T., Ph.D. Shametova A.A., senior teachers Aubakirova M.A., Kuatova A.S. Bordalba with Marius. May 18 2012. Institute of Economics held a roundtable discussion on “Socio-economic modernization of Kazakhstan’s economy.” The round table was attended by PhD, Professor, Director of the Institute of Regional Development Alimbaev A., Ph.D., professor KEUK Aynabek KS, Ph.D., professor of Moscow State University. MV University Pokrytan PA, PhD, Professor of KSU them. E.A. Buketov Andarova RK, Chairman of the Eurasian Association of Entrepreneurs Aldongarov JT, Vice-Rector for Innovation Development SA “Themis” Bakirova A., Ph.D., Associate Professor University of Karaganda “Bolashak” Petrenko, ES PPP and IE KSTU. Graduate groups, E-11-1m, E-11-2M of the Institute of Economics, from 16 to 27 April were trained at the Moscow State Construction University. From April 9 to May 5, 2012. held at the Institute of Economics courses. 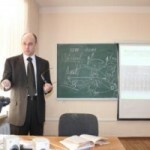 Exchange holds a professor of the Economic Faculty of Moscow State University. 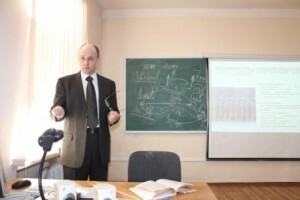 MV University, Ph.D. Pokrytan Pavel A. Professor of Economics Faculty of Moscow State University. MV University, Ph.D. Pokrytan Pavel A. March 27, 2012 in the auditorium of KSTU rector of KSTU met, Academician of NAS RK Gazalieva AM with students and faculty of the Institute of Economics. At the meeting were Vice-Rector – Ibatov MK, Vice President for Yegorov VV, SD Were asked a variety of topical issues KSTU rector.